The Kumari Devi is a living goddess. Chosen at a young age after a rigorous selection process, the Kumari is worshipped as the living embodiment of Durga. 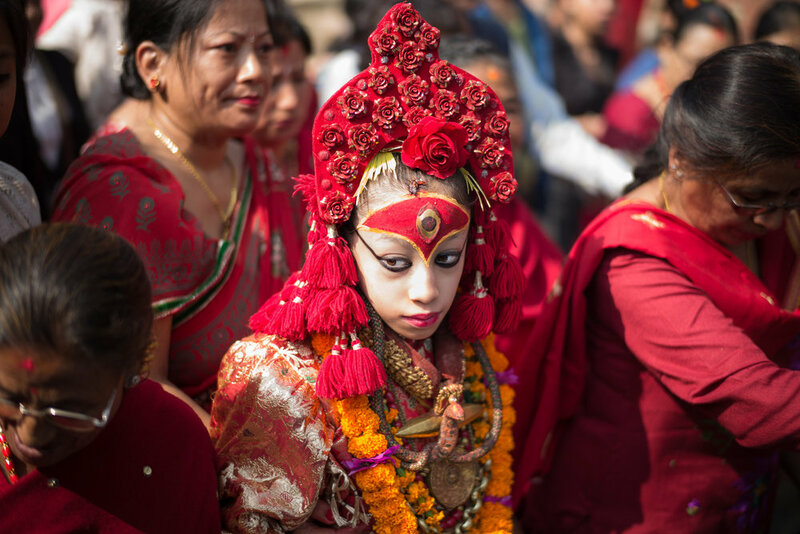 It is usually forbidden to photograph the Kumari and she is rarely seen by visitors although she may appear briefly at a window of her home in Kathmandu's Durbar Square at certain times of day. Very occasionally, on special occasions, the Kumari will leave her home and walk a short distance to a nearby temple, at which time it may be possible to catch a glimpse of her through the crowd which gathers around her. Today, I was fortunate to catch just a couple of frames of the Kumari.